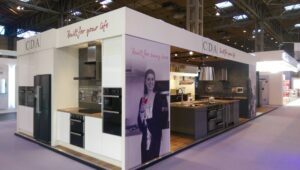 This year’s Grand Designs Live event at the N.E.C in Birmingham was busier than ever before for CDA. 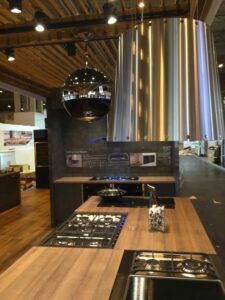 Customers visiting the stand loved what we had on show, from the striking new EKP curved glass extractor with edge lighting to the KG80 double bowl sink with Ariapura hygiene technology. 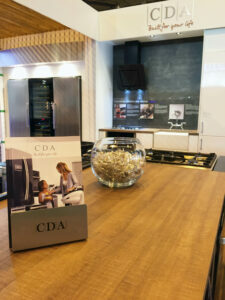 We had a working coffee bar so that we could offer our visitors a hot drink, showing the VC801 automatic coffee machine in action. 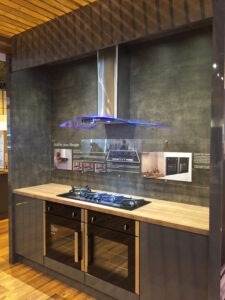 There were lots of ideas built into the stand to inspire kitchen designs, like two side by side single ovens for maximum cooking space and a variety of installation options for extractors to show how flexible the product range can really be. It was a fantastic opportunity to meet our customers, discuss our new product range and demonstrate the innovative features on offer.